The New Zealand Billiards & Snooker Association held two back-to-back World Ranking events in New Zealand during September. The Hamilton Open preceded the New Zealand Open, both of which carried WBL (Level 1) World Ranking Points. The New Zealand Open is a long established event and we are delighted to be adopting this in to the world ranking circuit. The Hamilton Open took place between Tuesday 23rd & Thursday 25th September, immediately followed by the New Zealand Open between Friday 26th & Sunday 28th September. Both events took place at the Hamilton Cosmopolitan Club, Claudelands Road, Hamilton, Waikato. Table 4 is the table on which Peter Gilchrist achieved his World Record break of 1346 in 2007. Click here for all results for the Hamilton Open, and here for all results for the New Zealand Open. 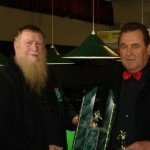 Grant Hayward defeated Bryce Good in an all New Zealand final of the Hamilton Open. 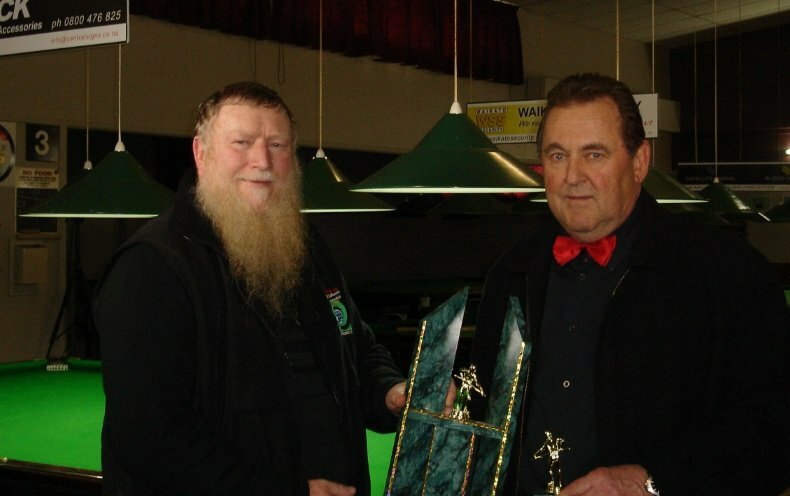 In an International field for the NZ Open Billiards, Hayward had some close shaves with the Australians when in the quarters beating first Australian’s Jason Colebrook (Melbourne) 344 – 342, and then `hurting’ another one of their reps in the semi’s George Chammas (Sydney) 445-421. In the 3 hour final, Paul Stocker (NZ), could not withstand the onslaught that Hayward threw at him winning 727-521. Stocker (Hawkes Bay) who was defending his Title, just couldn’t get the balls to run for him. Hayward, who is a pretty handy golfer, has represented NZ in all forms of CueSport around the World -Snooker, Billiards, 8ball & 9Ball, has commented that of all sports he has played, Billiards is the most challenging. SkySport in New Zealand are filming the semi finals and final of the New Zealand Open to broadcast as a 55 minute highlights package later in the year. Excitingly for September 2015 & 2017 the NZBSA are planning to have 4 World Ranking tournaments over 15 days, with events in Christchurch, Auckland and two in Hamilton, including the regional Major (Level 5) event for the Oceania region; perfect timing for players to get match practice before the Worlds at Leeds in October 2015.